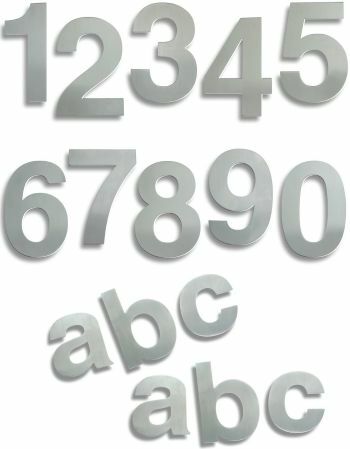 Large 7 inch, 178mm, Stainless Steel door numbers. Available in Polished Stainless Steel & Satin Stainless Steel, with matching 3 ½ inch letters. Concealed pin fixing, stand 10mm offset from surface. Suitable for timber or masonry fixing. 316 grade stainless steel.